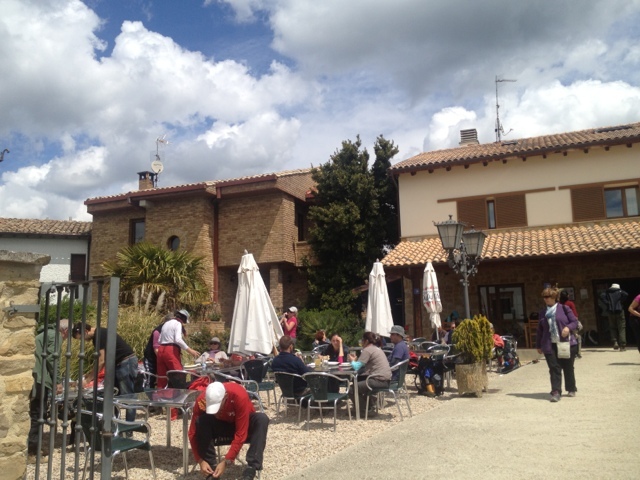 Coffee at our regular (3 days running) cafe then up the hill to Alto del Perdon. 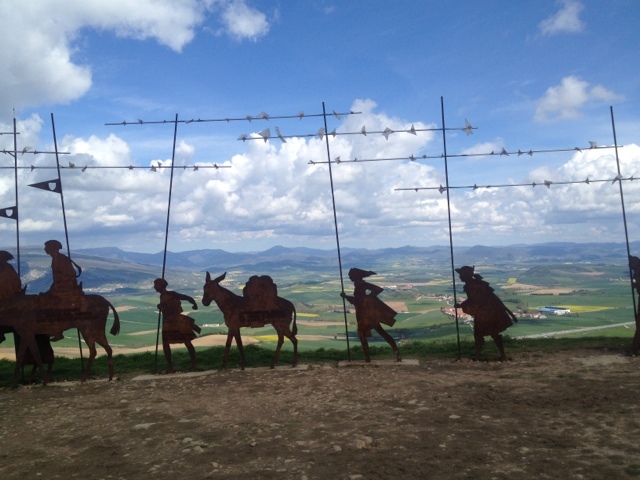 This pass sees us move into a more mediterranean climate and it is home for the iron silhouette sculptures of several pilgrims on donkeys. 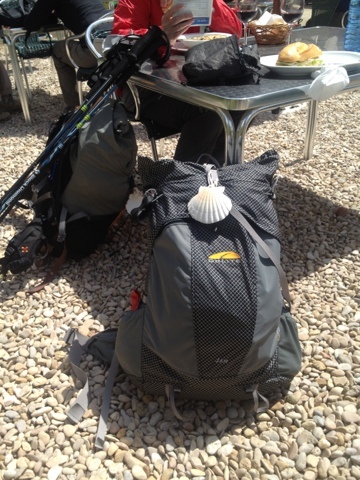 All camino books and sights have this view. After the climb the rest of the day is a welcome easy stroll through canola fields and some cute little towns. Had lunch at Uterga Alburge consisting of a vino Tinto and tuna roll. Very tempting to stay at this hostel and blow the arvo away in the beer garden but thought it best to press on. Arrived Puenta la Reina and got the last room in the first private hostel(Jakue), brilliant hostel. We are told that tomorrow, along with the usual perigrino water fountains, there will be one dispensing wine, how cool is that. Hi Marcus, I'm enjoying your updates. What an adventure! Are you OK for me to send the link to the NICE folk (we were talking about your travels on our call today).